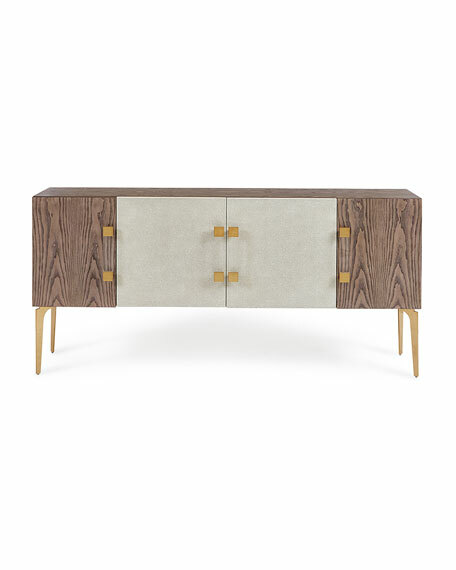 The case and two outer doors of this modern four-door sideboard are veneered in ash and finished in medium taupe. The two center doors are inlaid in a pebble relief pattern and finished in antiqued beluga. 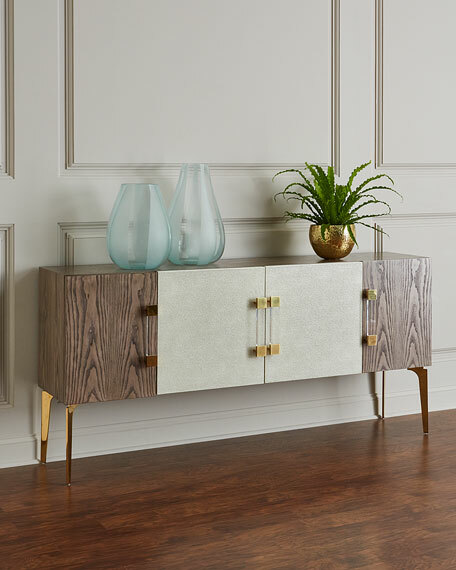 The base is brass finished stainless steel and the door handles are acrylic capped in brass finished stainless steel. Overall, 78"W x 17"D x 36"T.
Ash and celtis veneer, wood composite. Steel, acrylic, and resin trim.